Since its inception, the Swift has been a success story for Maruti Suzuki. It was the car, which made us Indians believe that there was more to hatchbacks than just what the Altos and Santros offered. It was also a hot favorite among modifiers and enthusiasts because of its peppy engine/gearbox combo and responsiveness. Here is one such modification that has resulted in a completely reworked interior job of the Swift. 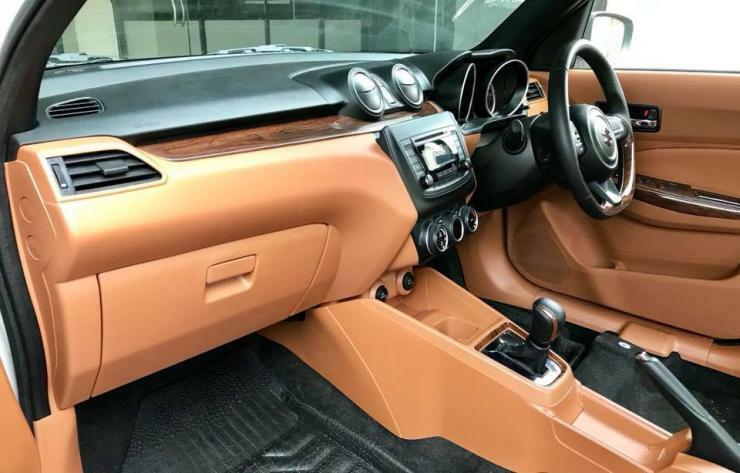 The folks at Reddy Customs have taken this Swift AMT variant to a whole new leather….sorry level and revamped the interiors. At first glance, it looks really good. Most of the parts including the seats and dash have been swathed in premium looking leather with many detailing bits in wood. We’re not sure whether we have seen the wacky gold, pink, beige mix colour palette anywhere else but it looks striking and surprisingly good. 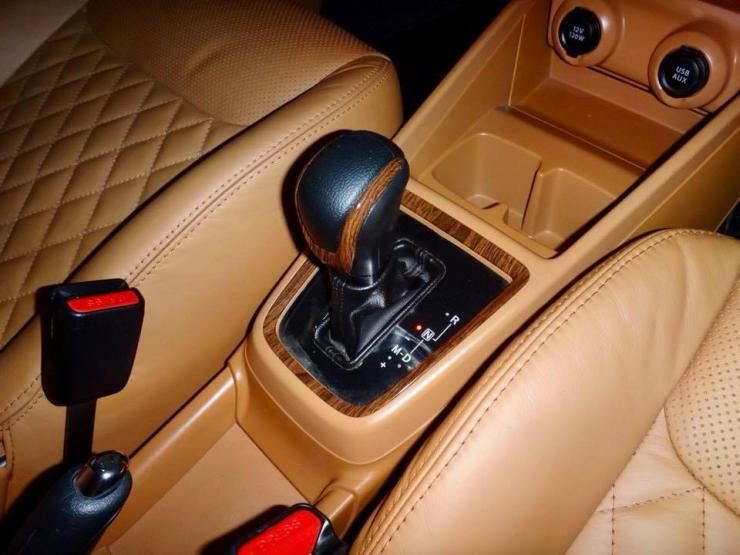 Note the wood inserts on and around the gear lever, which make it look premium. 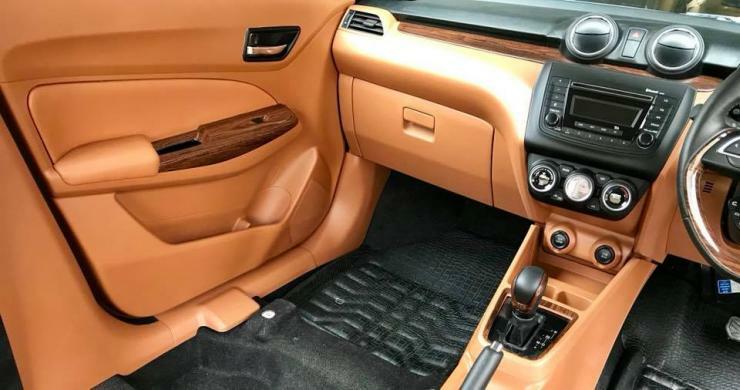 Other areas where wood makes its presence felt is on the door side hand rests and on a thick bar running along the length of the dashboard. The seats are covered with the same premium leather and feature a diamond quilted pattern. They have been double stitched to ensure longevity. The design of the seats also looks quite good and it seems they are now perforated at some parts. The base AMT variant of the Swift costs Rs. 6.36 lakh for the petrol engine and Rs. 6.98 lakh for the diesel engine. The AMT mated 1.2-litre petrol motor churns out 82 Bhp of power and 113 Nm of torque, whereas the 1.3-litre diesel unit produces 74 Bhp of power and 190 Nm of torque. That said, it is quite fuel efficient and provides the right mix between efficiency and performance along with sportiness and comfort to boot. All these reasons make the Swift one of the top selling cars in our country.